All of your power to perform is here right now. Your best performance comes when you are mindful of each moment, when you allow each moment to catapult you into the next. Think back to when you were a child and you were in the midst of delicious play: Time stood still as you gobbled up each moment of fun. Time stretched and expanded into eternity. Each minute blended into the next as you easily surrendered to the pleasure and joy of just being there. Maybe you were outside climbing trees or in the basement playing with swords or dolls. There was no thought of when the moment would end. There was no measuring of that moment to see if you could get a better moment. There was just you, drenched in that moment like a flower in rain, loving being there. 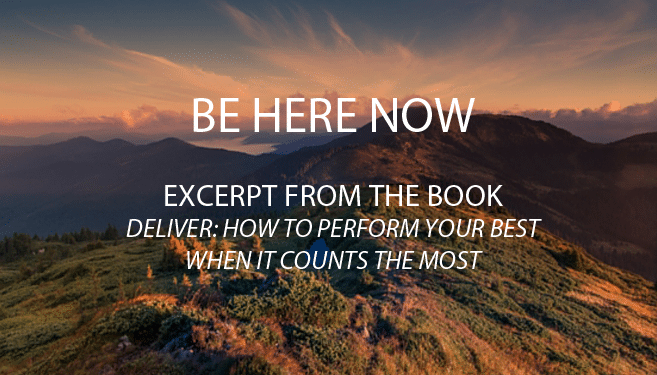 That incredible feeling of presence in the moment is what you need to recapture now for your top performance. Where you are right now is where you are right now. It is enough. You are enough. The power is in being fully here now. You’re not over there, split off from yourself and analyzing your performance. You’re not focused on the past, saying, “I should have prepared better.” You’re not in the future, worried about the outcome. Imagine the power of you, condensed into this moment. Connecting to this moment is like driving at night. 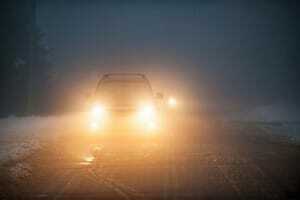 The headlights of your car help you see only the five or ten feet in front of you—but that’s all you need. You don’t need to turn until you get to the fork in the road, so just focus now on what’s in front of you. Look at your surroundings. Notice the colors. Feel your feet on the floor or your weight on the chair. Feel the joy of performing. 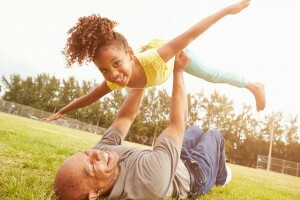 The side benefit of being so connected to the moment is that you feel greater fulfillment. If you’re only happy when you’ve won the game or gotten the deal, then you’re living in a barren wasteland. What you want is to be your best in each moment of your performance. That way you feel fulfilled no matter the outcome. This kind of fulfillment means you don’t have to win the trophy. Real satisfaction comes from following your process, from enjoying each moment. No one can take that kind of fulfillment away from you. You’ve just given yourself the best prize of all: enjoyment of the moment, no matter whether you’re on top or not. A masterful performance is the combination of many mastered moments. Don’t try to get to the end and jump into the results—you are here to enjoy the process of performance, even more than the outcome. Sink into the moment and let each moment catapult you into the next.